When we look at NASA’s lunar exploration program, we note that it gives an important place to the private companies of New Space. For example, the US space agency says it wants to buy cargo for the Moon from private companies. Among the many space companies that were created in the early 2010s, Moon Express has this mission. SpaceX and Rocket Lab have already proven that small private startups are able to afford access to Earth orbit with their own funds or with the help of NASA. But we don’t know if the exploration of asteroids, the Moon or Mars can be profitable for the private sector and whether investors are ready to invest in the very long term. Moon Express wants to go beyond Earth’s orbit. It regularly gets tens of millions of dollars of financing from private investors. Its business plan seems consistent for institutional and commercial clients. For the moment, everything seems to be OK for Moon Express. The company announced on October 1, 2018 that it had obtained new financing of $ 12.5 million, bringing its total capitalization to $ 65 million. In the middle of the summer, Moon Express also took possession of launch complex 17 at Cape Canaveral, following the retirement of the Delta 2 rockets. Almost every space agency in the world is interested in the Moon. If Moon Express is able to develop a cargo service to the Moon at a competitive cost, institutional customers could be numerous. But the company was created in a very different context. In 2010, the Moon did not interest many people. NASA’s Constellation program had just been canceled and the United States became more interested in Mars. However, Robert D. Richards, Naveen Jain and Barney Pell decided to invest $ 2.5 million to send a spaceship to the Moon. 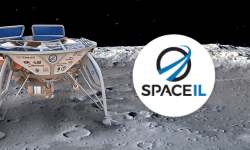 They joined the many teams that tried to win the $ 30 million promised by the Google Lunar X Prize, a prize put in place in 2007 to reward the first private company that will manage to land a spacecraft on the lunar surface. Very quickly, the ambitions of Moon Express seemed to go beyond the frame of a simple race for a price. If it is necessary to solve a problem as complex as a travel to the Moon, it must be really useful. Moon Express thus found its first payload in 2012. It made an agreement with another private company to land a small observatory, the size of a shoebox, near the South Pole of the Moon. In 2013 and 2014, larger fundraisings allowed the project to really evolve. The company hired about 20 employees and even bought flights in 2015 on the Rocket Lab Electron launcher. At this time, Rocket Lab was only a small company with great promises. But the leaders of Moon Express seemed to have a good intuition since they bet on a successful company. The two companies agreed to make three flights that must progressively demonstrate the capabilities of Moon Express on the lunar surface. 2015 is also an important year from the legal point of view. The US government adopted the Commercial Space Launch Competitiveness Act, which allows US citizens and businesses to exploit the resources found in outer space. In other words, if Moon Express is able to bring lunar samples, then they belong to the company and it can do what it wants with it. It becomes legal for Moon Express to sell pieces of Moon, a very lucrative business. In 2016, Moon Express became the first American private company to receive authorization to go beyond the geostationary orbit. The Federal Aviation Administration (FAA) gave a license to Moon Express after consulting with the State Department and the NSA. During the years 2016, 2017 and 2018, Moon Express obtained new financing but has not yet launched. The first mission was scheduled to be launched during the second half of 2017. But to take off, Moon Express needed a rocket, and the Rocket Lab rocket did not seem reliable yet. Finally, the first commercial launch of the Electron rocket is scheduled for early November 2018. This could quickly trigger Moon Express’s first mission. But the Rocket Lab order book is so full that it’s still hard to know which customer will have priority over future flights. 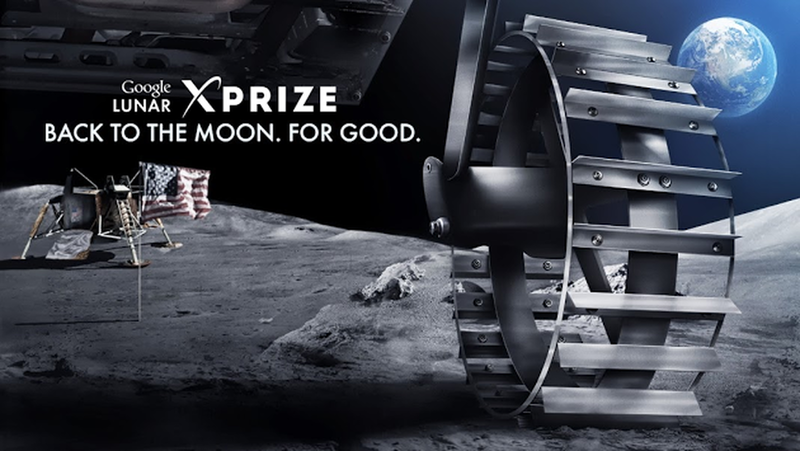 Another bad news announced in 2018, the Google Lunar X Prize is over, without winner. In other words, Moon Express can no longer hope to obtain the tens of millions of dollars promised to the first company that would reach the lunar surface. This does not seem to have discouraged Moon Express and its investors. The American company keeps the same development plan. It develops space vehicles that will do 3 demonstration missions. The first mission is named Expedition One. It will take off in the fairing of an Electron launcher. Its mission is to prove that the Moon can be reached by a private company. Expedition One will carry the small observatory, as well as a reflecting mirror that will measure the distance between the Earth and the Moon. This mission will be carried out thanks to the MX-1 spacecraft developed by the company. MX-1 is a 250 kilogram lander and has the size of a human being. It can embark 30 kilograms of payloads. Its solar panels can provide up to 200 watts of power. It is equipped with a unique PECO rocket engine developed by Moon Express. The MX-1’s capabilities are interesting but may be too limited for customers like NASA. This is why Moon Express choose to make it a basic element for the design of spaceships and more massive landers. The MX-2 spacecraft will stack two of these modules, one above the other. The goal is not really to carry larger payloads, but to provide a larger Delta V. The bottom module acts as a rocket stage. It brings additional thrust and thus allows the higher module to have more ambitious trajectories, and perhaps even to go to the orbit of Mars or Venus. To bring cargo to the lunar surface, Moon Express wants to assemble its modules in parallel. The MX-5 or MX-9 could thus be composed of five or nine modules, with a capacity of up to half a ton. This higher capacity should make possible to attempt sample returns. This is what Moon Express wants to prove with its third mission. But it is not sure that this configuration can fit in the fairing of an Electron rocket. If Moon Express manages to bring back a small sample of the Moon, the American company will be able to obtain great profits. If the sampling site is well chosen, laboratories and wealthy collectors could very quickly raise the stakes. But Moon Express still has a lot of work. The company said it had enough funding to complete its first mission, but it will probably not be profitable. It will therefore be necessary to find additional funding to carry out projects as ambitious as a sample return. This may be the role of national space agencies. Moon Express has announced during the ISC that it has signed a memorandum with the Canadian Space Agency to oversee future collaborations. NASA is also linked to Moon Express as part of the Lunar Catalyst program, which allows Moon Express and two other companies to use NASA’s expertise and engineers. In return, they must design their lunar lander so that it is compatible with NASA payloads. It is a program without funding from NASA but which could make it possible to realize ambitious projects. The US Space Agency is indeed very pleased with the results it has achieved with the COTS and CCDev programs, which have allowed the private industry to manufacture cargo spaceships and manned spaceships to serve the International Space Station : Cygnus, Dragon and CST-100. NASA wants to partner with private companies to go back to the Moon with the Commercial Lunar Payload Service (CLPS) program. The American space agency would like to be able to buy cargo spaceships without taking care of their development. On September 4, 2018, NASA announced that 31 companies have responded to a first tender, Moon Express is one of them. The US space agency wants to buy several flights with more and more massive payloads. The first contracts could be announced in 2019. Moon Express is very well positioned to get at least one of them. This opportunity could turn the company into a profitable business model in the long run. In the same way that NASA funding has allowed SpaceX to become a major player in access to Earth’s orbit, they could allow Moon Express to take its first steps towards the Moon before becoming independent. Moon Express is interested in the moon. Created in 2010, its business model is a bit special : the company intends to bring lunar rocks back to Earth to sell them to laboratories or wealthy collectors. The first three missions of Moon Express are already planned and financed. The first mission called Lunar Scout should become the first private flight to the Moon. It will carry with its scientific instruments and will try to win the grand prize Google Lunar XPRIZE. The second mission called Lunar Outpost will install a robotic lunar base for Search. It will have to probe its environment to search water and interesting materials. Finally, the third mission planned by Moon Express will be called Harvest Moon. It will make the first return of lunar samples, which will become the Moon Express business. Moon Express is planning the completion of these three missions by 2020. To achieve this, the private company will rely on a contract with Rocket Lab for the launch of these three missions. Moon Express will also rely on a fleet of space ships that the company designed. The first of these will be the MX-1, which will be used to complete the Lunar Scout mission. This space ship is able to bring a payload of 30 kilos to the lunar surface. Its engine burns kerosene and hydrogen peroxide. MX-1 should be assembled in September of this year. It will then have to go to New Zealand for a launch before the end of the year by Rocket Lab. 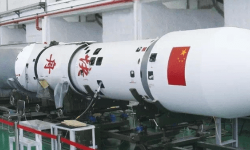 It is very important for Moon Express to launch its MX-1 before the end of the year. Indeed, it is the target date that Google communicated to participate at the Lunar XPRIZE and its attractive price of 30 million dollars. To win this prize, the space ship of Moon Express must be able to make a jump of 500 meters on the moon and to retransmit images and videos in high definition. Two space ships are however planned by the firm : the MX-5 will be able to deposit 150 kg on the surface of the moon while the MX-9 will be even more massive and will be used for the mission of return of samples. If Moon Express manages to bring back tens of kilos of lunar rocks, then the company should recover on a huge fortune : 0.2 grams of lunar rocks from a program of return of Soviet samples have already been sold for such a fortune that 10 kg would represent more than 22 billion dollars.